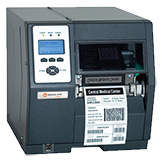 This week we bring you the Datamax-O’Neil H-Class Mark II Thermal Printer firmware update instructions. How to upgrade our Datamax H-Class Industrial printer to the most-recent Production firmware? How may I upgrade the firmware on our Datamax H-4212 printer? How may I upgrade the firmware on our Datamax H-4310 printer? How may I upgrade the firmware on our Datamax H-4408 printer? How may I upgrade the firmware on our Datamax H-4606 printer? How may I upgrade the firmware on our Datamax H-6210 printer? How may I upgrade the firmware on our Datamax H-6212 printer? How may I upgrade the firmware on our Datamax H-6308 printer? How may I upgrade the firmware on our Datamax H-6310 printer? How may I upgrade the firmware on our Datamax H-8308 printer? It is not the H-8308p printer. Do the Datamax H-8308 and H-8308p printers use different firmware upgrade methods? The files can be found in the following path: ‘Software’ > ‘Printers’ > ‘Industrial’ > ‘H-Class’ > ‘Current’. Please note that the firmware file would need to match the printer model to avoid any resolution or print quality issues from occurring.